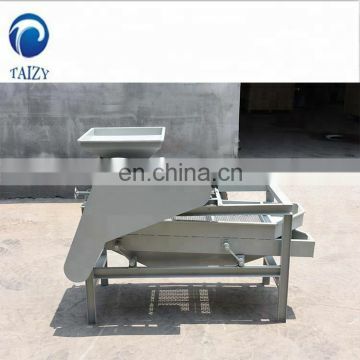 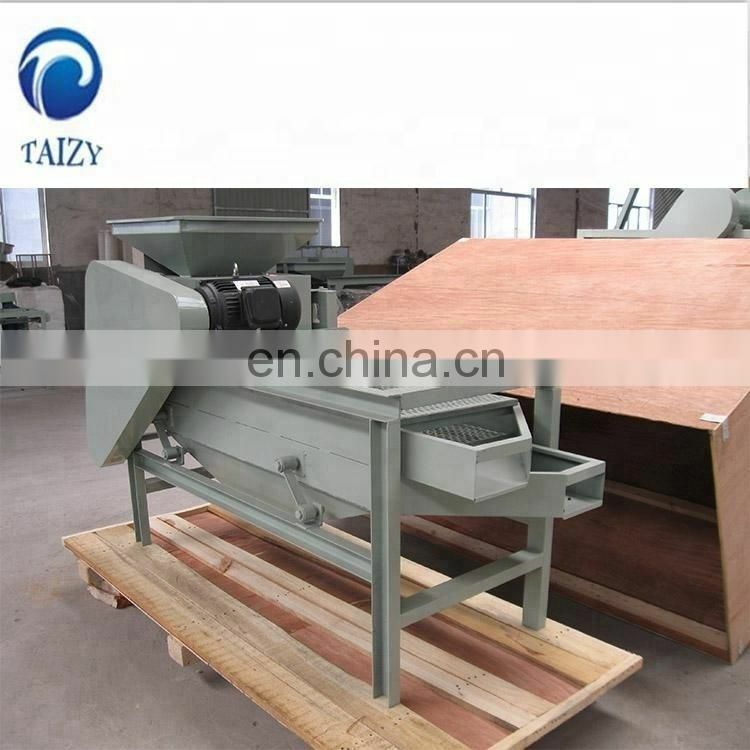 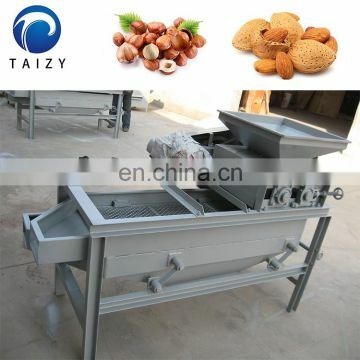 This almond sheller is mainly used for shelling various of hard shell nuts,such as almond,hazelnuts,pistachio,etc. 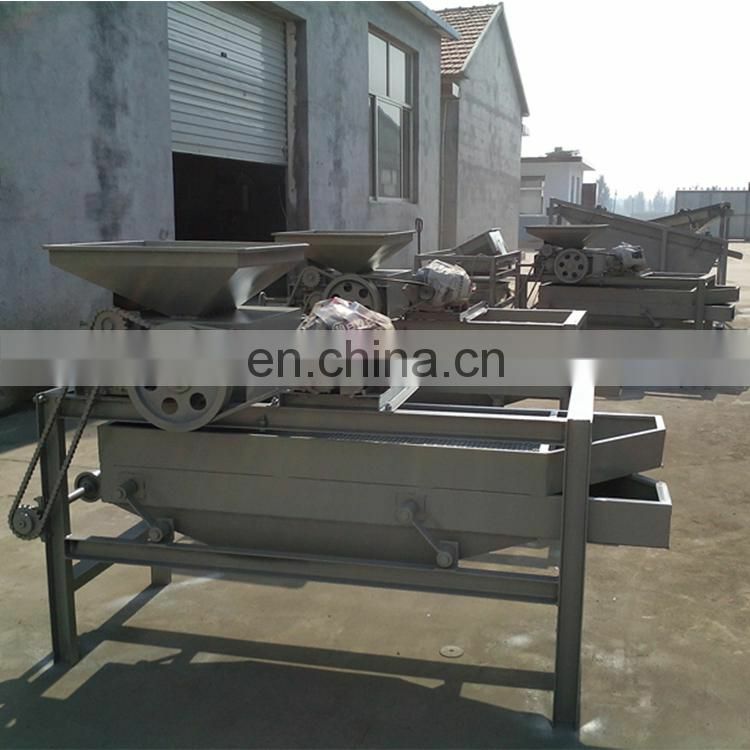 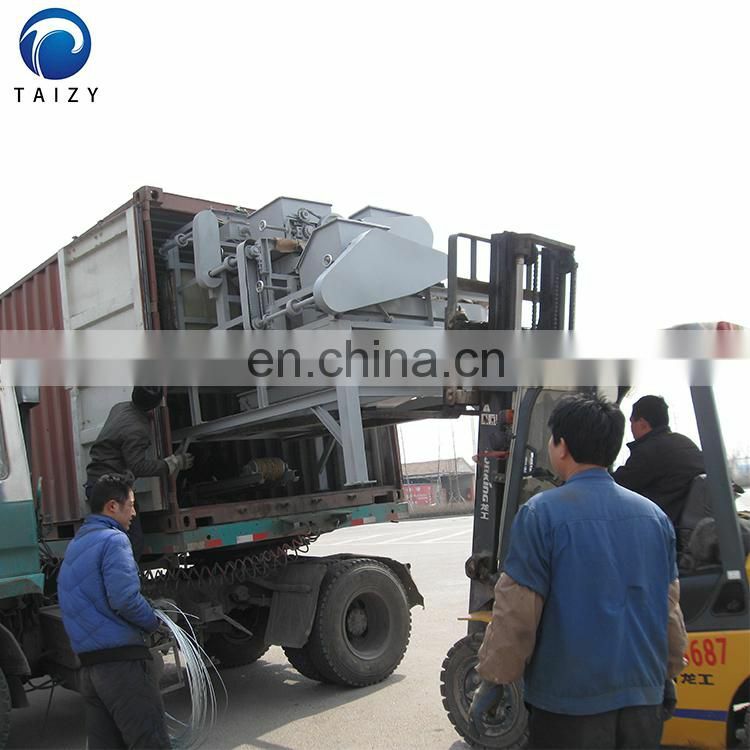 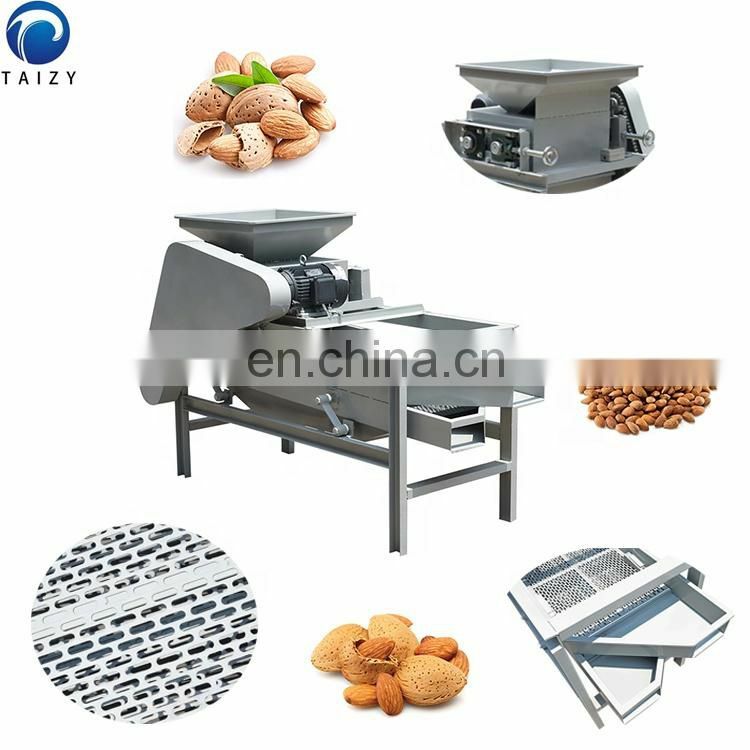 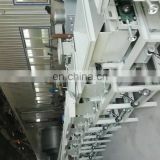 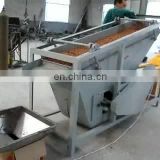 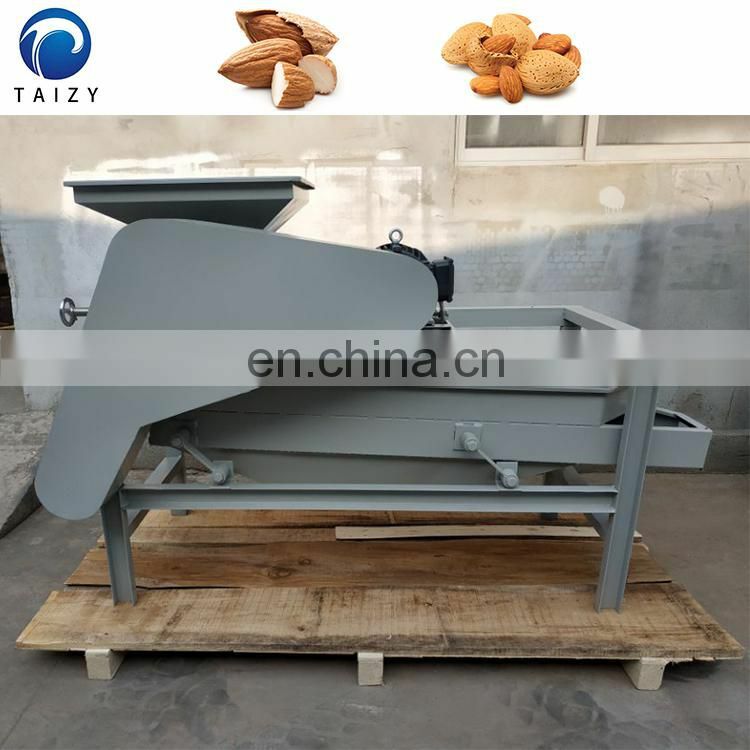 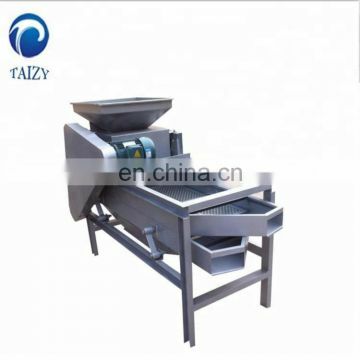 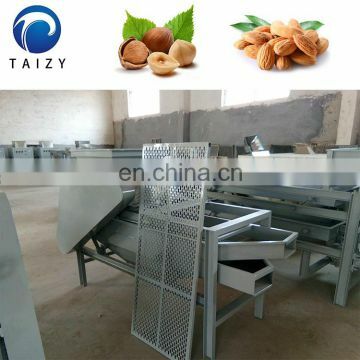 This Almond peeling machine has the feed hopper, the stripe roller, the shed bar, the gravity separator, the fan and so on. 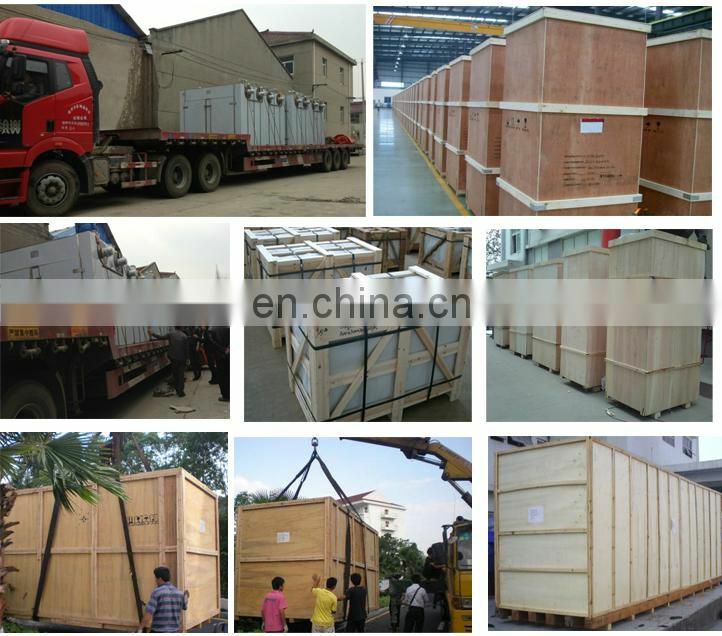 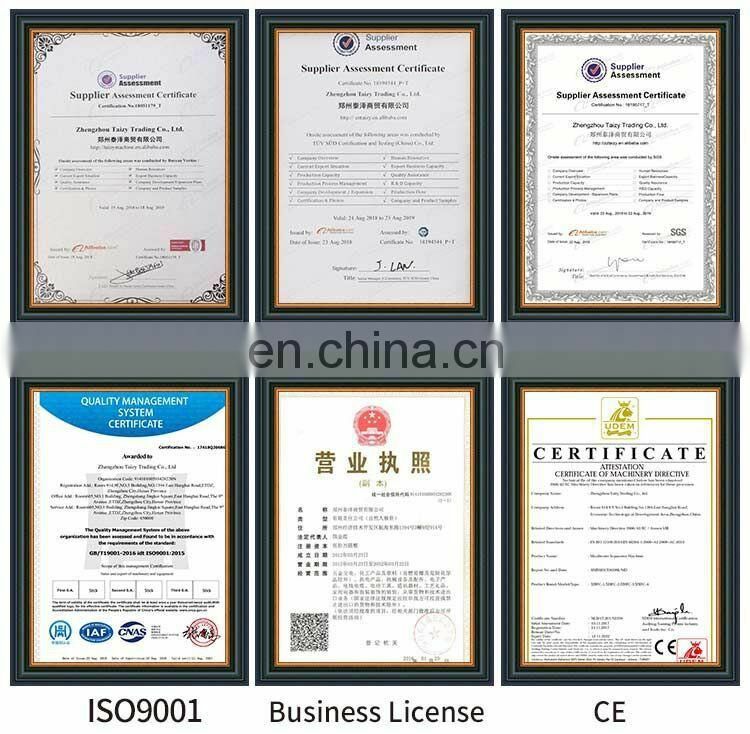 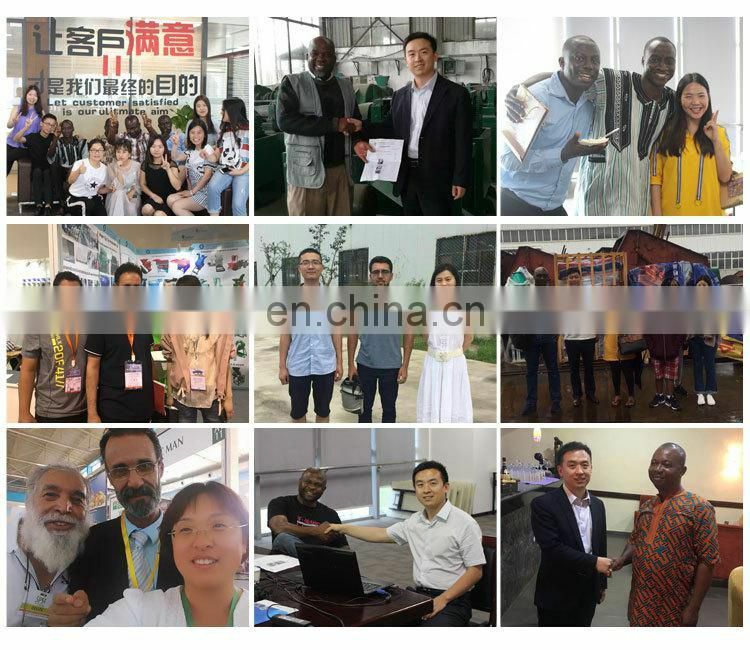 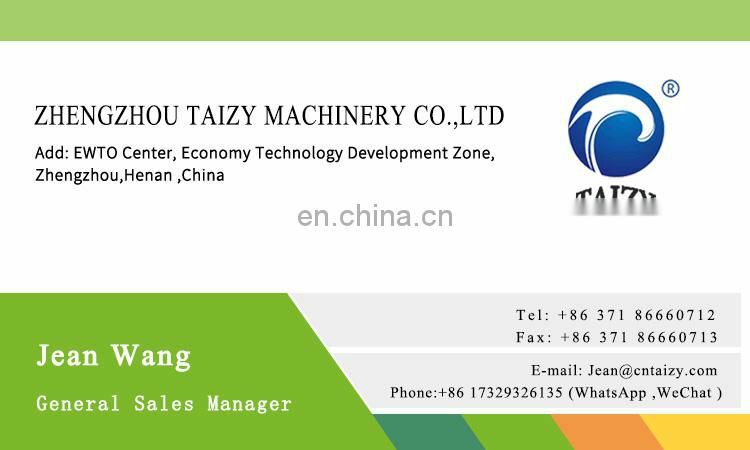 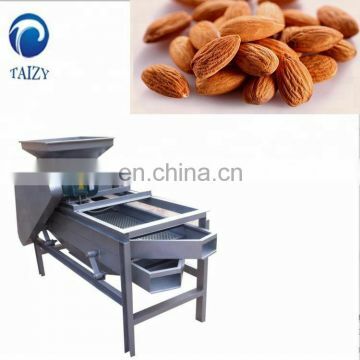 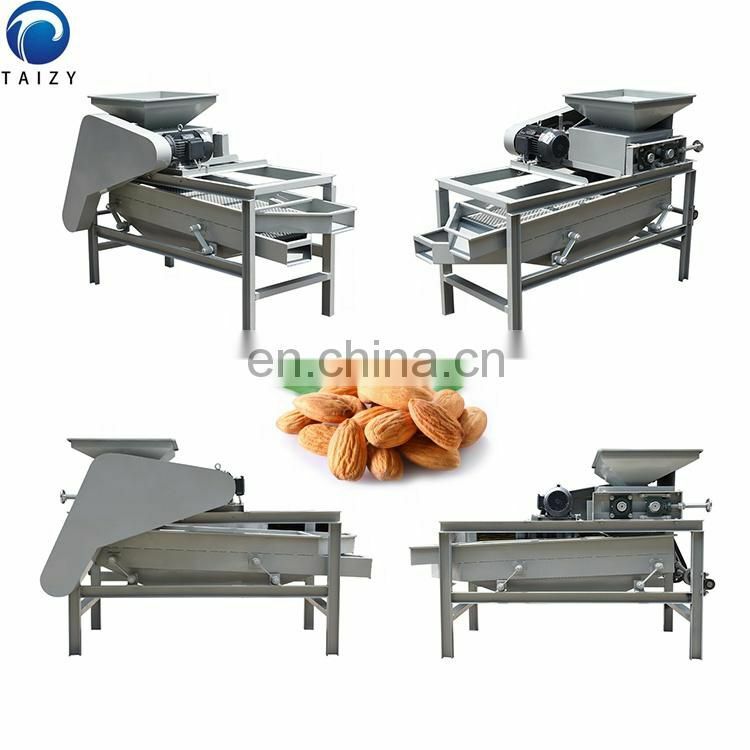 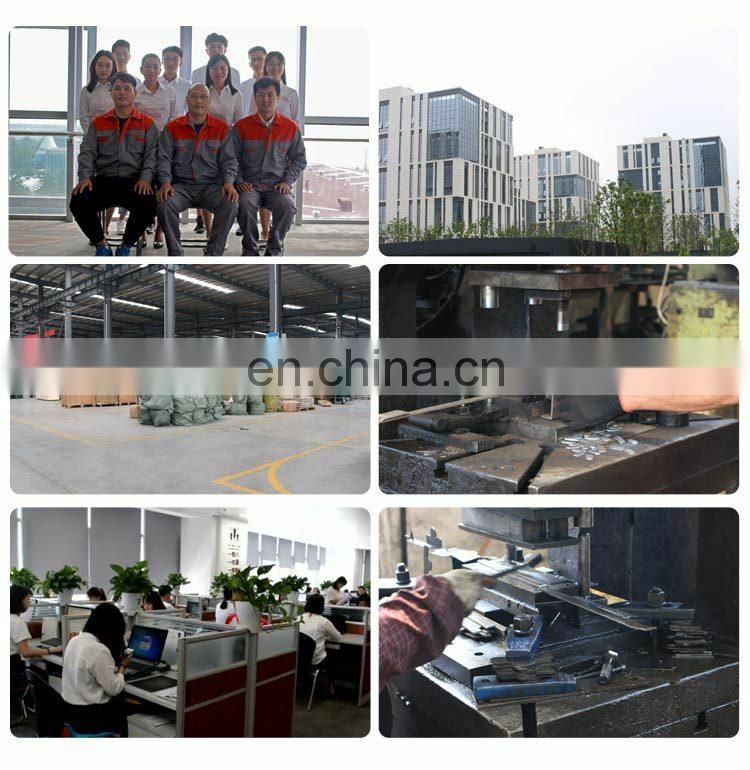 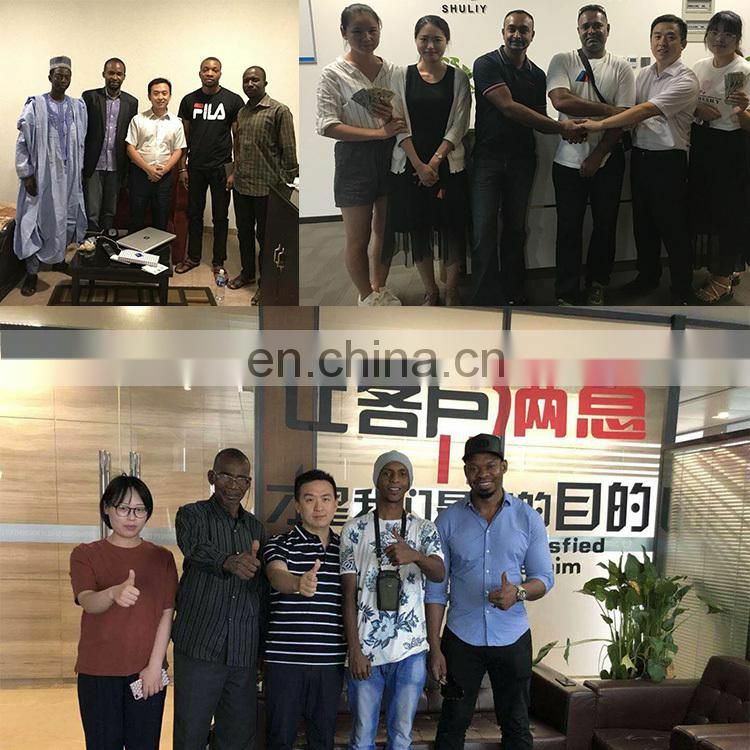 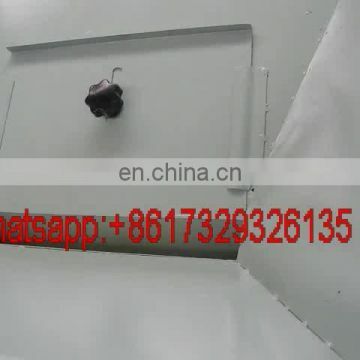 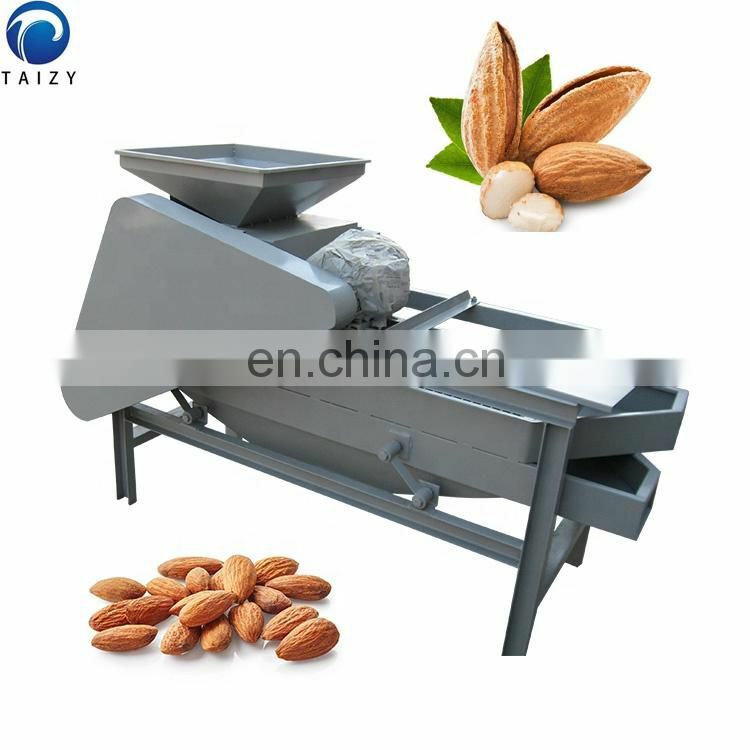 This Almond shelling machine's structure is simple and compact, the operation is simple, the performance is stable, the safety and the durability are good. 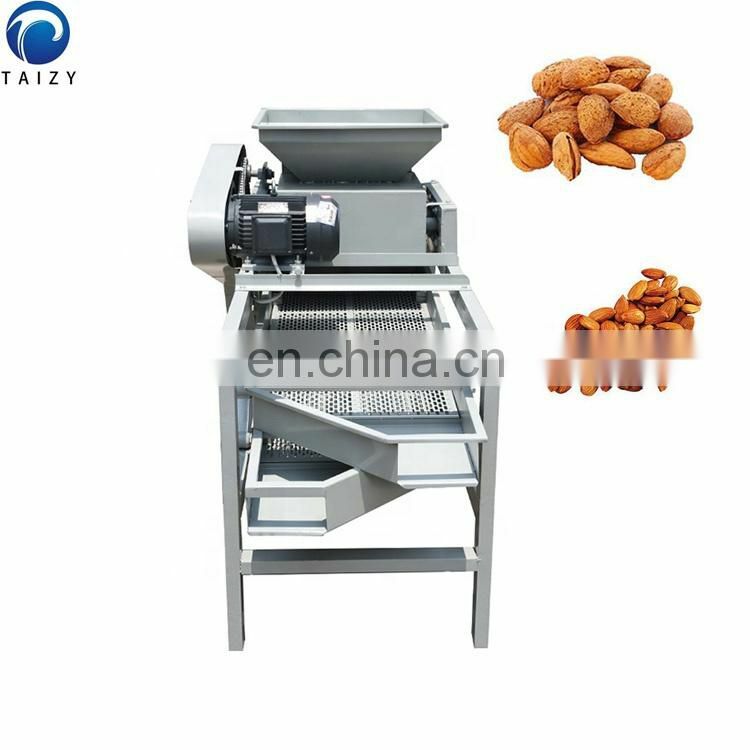 1)The operation is simple, meeting the needs of a variety of nuts.